Scientists have invented a new way of growing plants that can be used to feed the world’s growing population. With the help of a method called “rapid breeding,” the crop can be grown several times faster than usual. “Rapid breeding” will allow researchers to grow plants and improve their genetics faster, accelerating the growth of species resistant to diseases and pests. Scientists from the John Innes Center (UK), Queensland University (Australia) and Sydney University (Australia) published the results of their research in the journal Nature Plants on Monday, January 1. The process that allows plants to grow faster, works by placing them under light, optimized for photosynthesis. Plants absorb blue and red light, reflecting green and yellow light. The technology of “high-speed dilution” uses LEDs for 22 hours a day. Special lamps emit more red and blue light, which allows plants to grow faster. 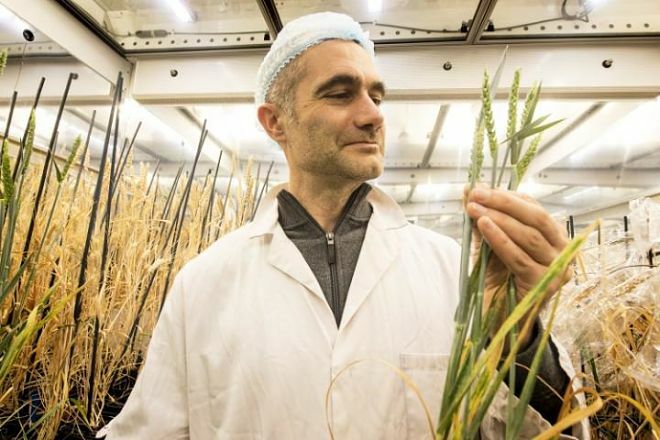 Improved lighting has helped researchers grow six generations of wheat, hard wheat, barley and mutton chickpeas in one year. Canola, a form of rapeseed oil, yielded four crops per year. Current methods of dilution using sodium lamps are ineffective, since light sources produce a lot of heat, which increases the cost of the final result. In addition to using in the field, high-speed breeding is useful for understanding the genetics of crops. Technology allows scientists to study plant characteristics, such as interaction with pathogens, shape, structure and flowering time. High-speed breeding can be combined with many other technologies, for example, with genetic modification, in order to get the final result faster. As the world’s population continues to grow, such technologies will help improve food security. The UN forecast of June 2017 suggests that the world population will grow to 9.8 billion by 2050.